Arrive in Paris and get settled in to your luxury hotel in the heart of the city. Enjoy some time on your own before meeting the group for our Bacchus Discovery Dinner. On the second day, take full day to explore Paris on your own. Shop, visit a museum, or even head out to Versailles. The choice is yours and of course we can help make the arrangements if you need us to. After breakfast, we’ll bid Paris adieu and embark on a scenic drive to Champagne. 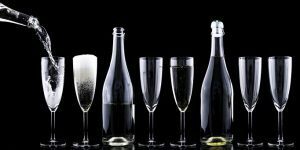 Before lunch, we’ll taste a range of Champagnes together and focus on how to best taste and learn about sparkling wines. 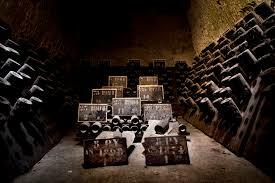 After lunch, we’ll visit our first producer, one of the top Champagne houses in the region. After our visit, you can explore the city on your own. The Cathedral is a must-see and the city is full of great bars and restaurants where you can continue your exploration of all things bubbly. 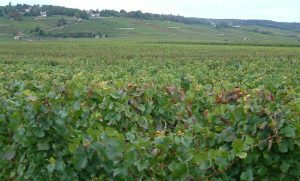 Another day to explore the Champagne-Ardennes region and learn more about the most famous method of making wine sparkle like stars. We’ll start our morning with a visit to the Museum of the Surrender, the location where the Third Reich unconditionally surrendered to American General Eisenhower. On our way to Epernay, we’ll also visit a World War I fortification. Then we’re on to Epernay to meet several producers and learn how the terroir of Epernay influences the taste of the Champagne produced here. After spending the day in Epernay, we’ll head back to Reims for the evening. After breakfast at the hotel, we’ll depart Champagne and drive to Beaune. On our way, we’ll visit Chablis for a last taste of Chardonnay before heading to the land of Pinot Noir. We’ll call on one of the top Chablis producers before lunch and you will have some free time to explore Chablis on your own before we leave for Beaune, where we’ll check in to our beautiful and historic hotel inside Beaune’s charming ramparts. Before dinner, we will visit one of the region’s top producers, explore their cellars under the city and taste some amazing wines with a traditional taste-vin before walking to one of the best restaurants in the city. At dinner, we’ll continue our dine and discover experience by tasting a range of Burgundy’s top wines paired with the famous Burgundian cuisine. Everyone loves cheese and wine! 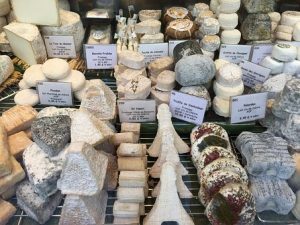 This morning we’ll take a tour of one of Burgundy’s top cheesemakers and learn about cheese and wine pairings. After our snack, we’ll head into the heart of the vines and visit Fixin, a beautiful village with a lovely Medieval church and several top producers of beautiful Burgundy wines. After lunch in Fixin, we’ll stop in Gevrey-Chambertain and learn how wines made so close together can taste so different. After our stop in Gevrey, we’ll head back to Beaune so you can explore more of the city on your own. We’ll spend the morning visiting the city of Dijon. We’ll pay a visit to the ancient ducal palace and enjoy a mustard tasting at one of the city’s best producers of the famed Dijon mustard. It tastes so good because they substitute acidic unripe grape juice or wine for the vinegar that’s traditionally used to preserve mustard. After some free time to explore Dijon, we’ll head back to the vines with some tasting in Nuits St. Georges. There’s an easy train link between Nuits St. Georges and Beaune, so you can opt to spend the evening getting to know Nuits or spend a free evening in Beaune. 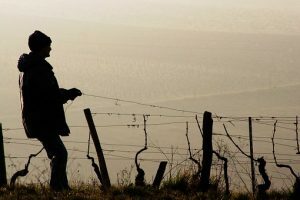 In the morning, we’ll head out to Pommard and visit with a small producer either to tour the vineyard if the weather is fine or in the cellar – either way, we’ll taste a fabulous lineup of wines. 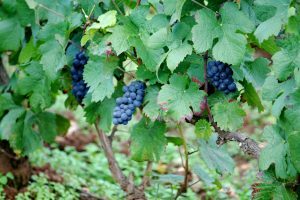 The coach will head back to Beaune in the early afternoon, or you can opt to join us on a walking excursion through the vineyards if the weather cooperates. 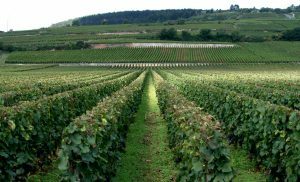 There are several lovely hikes and walks in the area – we might explore Mersault, Montrachet or Volnay. If you choose to return to Beaune, this would be a perfect opportunity to visit the Hospices or check in with another winemaker in town. It’s truly more than just Nouveau. After breakfast, we’ll journey south towards Lyon, gateway to the Rhone. On our way, we’ll make a few stops: first in Macon where we will revisit with our old friend Chardonnay and then on to Brouilly after lunch. We’ll arrive in Lyon in the afternoon and you can spend the evening exploring this beautiful city. 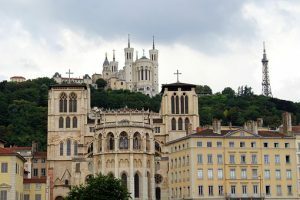 In the morning, we’ll walk through Lyon’s old town, making sure to visit the famed Tour Rose. 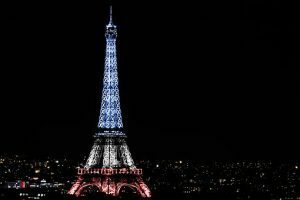 We’ll also learn about Lyon’s history as the heart of the French resistance movement in World War II and pay a visit to the Museum of the Resistance and Deportation. You will have the rest of the day free to explore Lyon’s many historic sites, parks and gardens. We definitely suggest checking out Les Halles – Lyon’s famous market. One day is hardly enough in this beautiful city! In the evening, we’ll all meet for a fabulous farewell dinner at one of Lyon’s famous bouchons, revisiting some of our favorite wines from the past few days and enjoying Lyon’s amazing and rich food. Sadly, this marks the end of this journey. Not ready to head home yet? Continue south with us for an in-depth exploration of the Rhone or spend a few extra days in Lyon, Paris or Nice.